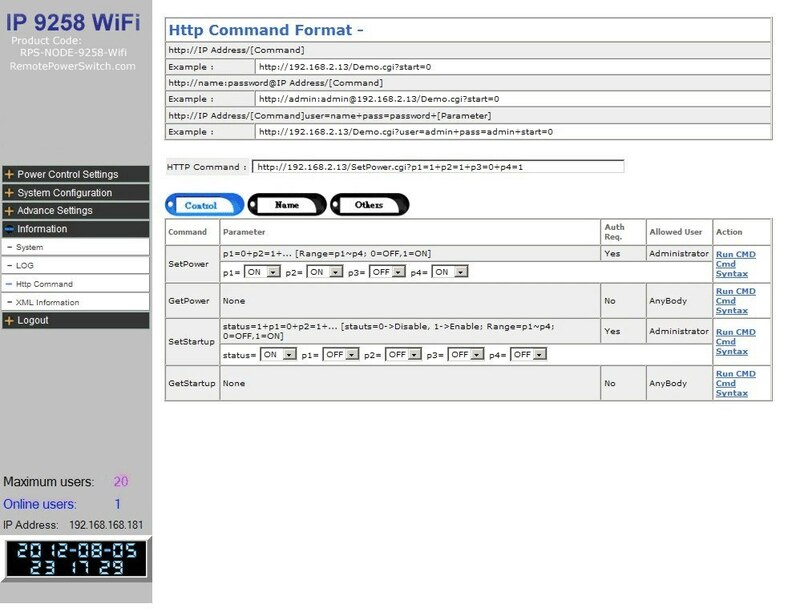 Web Based Power Controller which connects to your WiFi Wireless Network. 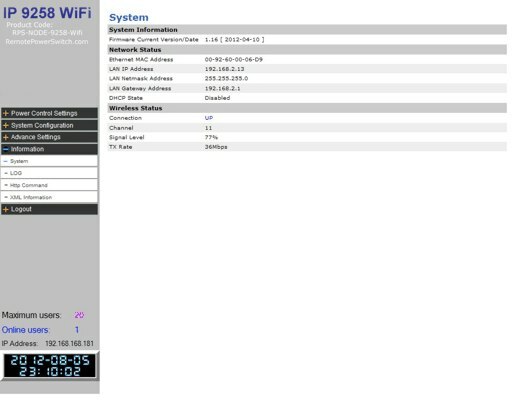 The Blacklists allows you to block certain range groups of IP addresses from access to the WiFi Remote Power Switch. 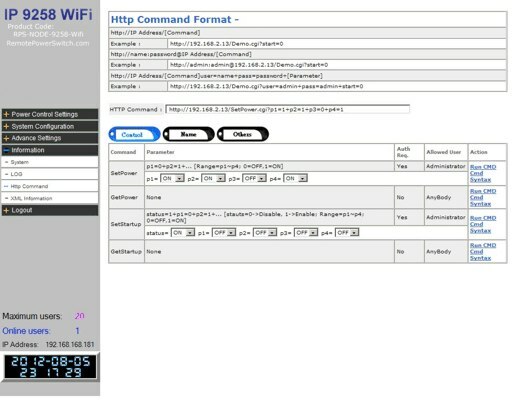 Enter the desired IP Addresses and select the ADD button. The SUBMIT button will update the Black List. System – Provides Network and Wireless Status including IP Address of the RPS-NODE-9258-WiFi, the WiFi signal level and connection status. LOG – Shows the activites that have been logged on the RPS-NODE-9258-WiFi. 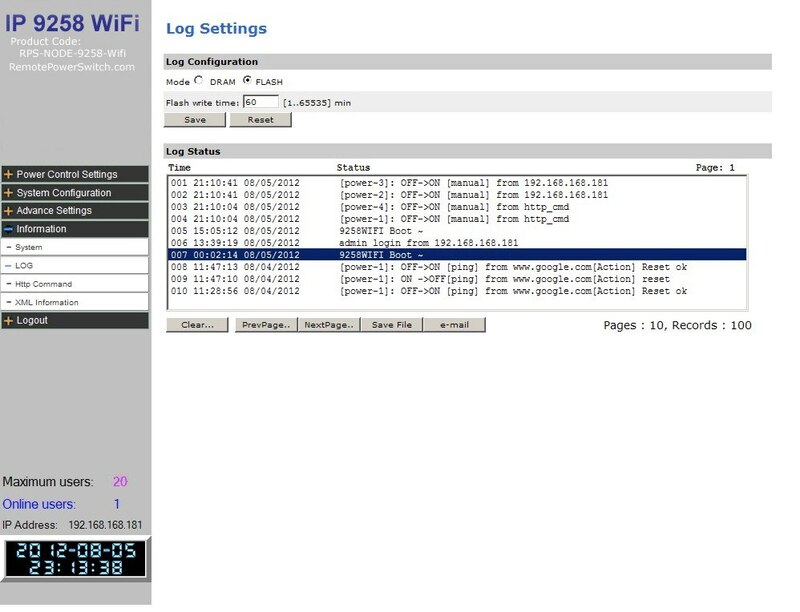 You can Save the log to your computer or Email the results from this page. 1.) To Create command Lines select the appropriate settings to achieve the desired commands. 3.) The command line will be created in the HTTP Command section. To RUN the generated command line, hit the CMD Link. Another window will pop-up and confirm the settings have been activated. You may also copy the generated command line into your browser for testing or use the generated command line in your program code. XML Information: The XML function allows you to use XML for programming purposes. To enable the XML make sure the Enable button has been selected and press submit.